Naxal Revolution: Are Maoists really so Hi-Tech ? 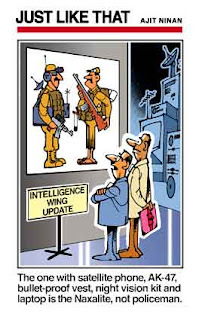 Are Maoists really so Hi-Tech ? as reported in this news article. that the revolutionary maoists are being forced to retaliate of late.